The clear highlight of Who Is America?’s premier was the final segment: a nauseating series of interviews with American gun advocates, eagerly endorsing programs like arming preschool-aged children with firearms. Among the writhing snake pit featured in this part of the show, one particularly notable serpent, the Virginia Citizens Defense League’s Philip Van Cleave, slithered out of the group with distinction. 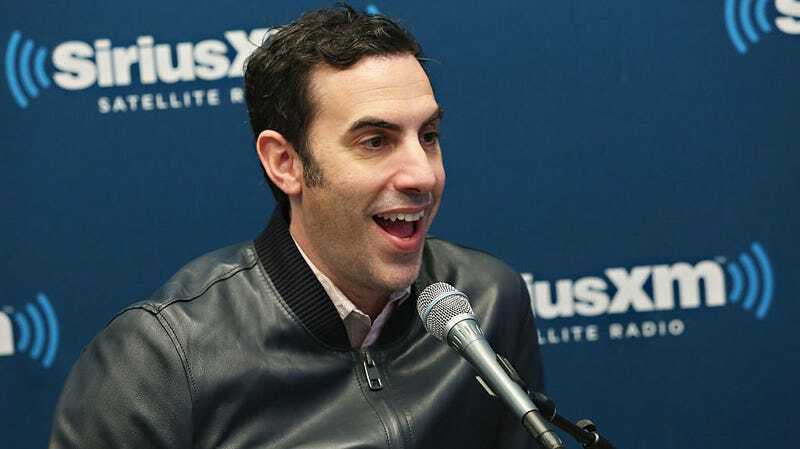 During his interview with show creator Sacha Baron Cohen (in his prosthetic-and-makeup heavy role as supposed Israeli anti-terror expert, Erran Morad), Van Cleave merrily played along with a discussion that resulted in him saying that children could be “very effective soldiers” because they haven’t yet learned right from wrong and endorsing a program where preschoolers learn how to “stop these naughty men and have them take a long nap” with a little help from firearms. Now, a long, unconvincing statement about the shoot has been discovered by The Daily Beast. Written by Van Cleave back in February and posted on the Virginia Citizens Defense League’s Facebook page, it runs roughly 1,400 words and was penned in an effort to protect others like him from being tricked by the “EXTREMELY WELL FUNDED PROFESSIONALS” behind Who Is America?